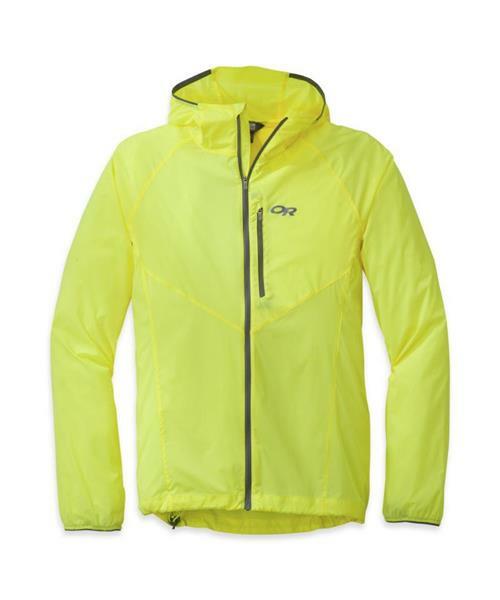 This stretch fabric wind shell, the Tantrum Hooded Jacket is built for highly aerobic pursuits in less-than-ideal weather conditions, providing shelter from wind and light rain but quickly dumping excess heat and perspiration. The adjustable fitted hood blocks gusts of wind, and the whole jacket packs inside its lower-back pocket and then fits comfortably around your waist for the rest of the day. * Low-Pro Binding™ Hood - Lower back pocket doubles as stuff sack that can be worn with integrated waist strap or clipped onto harness.